Colourful directional figures made of MEDITE TRICOYA EXTREME now point out a safe route to school for children in Billund, Denmark. The figures are part of a wider health initiative in the municipality that hopes to make children more active. As part of the initiative, the Billund area is looking to make it safer to cycle to school. The beginning of this process involved the planning department harnessing the creativity of 200 children from three schools in Billund who submitted 75 ideas to improve the current cycling routes. Billund Traffic Adviser Jan Luxenburger is also convinced that the project will have a lasting positive effect. “The ideas from the children have been very impressive,” says Luxenburger,“They have been really engaged throughout the project and we’ve got some ideas that certainly can be used. The fact that the designs are exposed to the elements also posed a challenge to the design team. They had to use a material that was diverse enough to express the children’s creativity while withstanding the varying weather conditions. 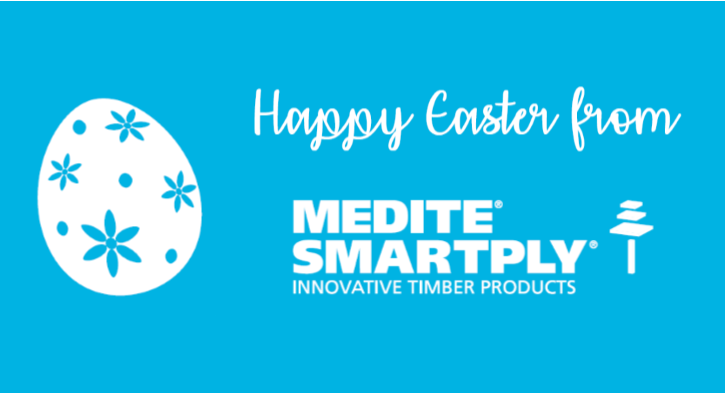 MEDITE SMARTPLY’s Danish MEDITE TRICOYA EXTREME distributor, DLH, were on hand to offer a suitable, durable solution. “The product that Park & Road required had to be easy to handle, light, customisable and most importantly last throughout the wet Danish climate,” says Johnny Pilgaard, Sales Consultant at DLH.